This level has medium difficulty. 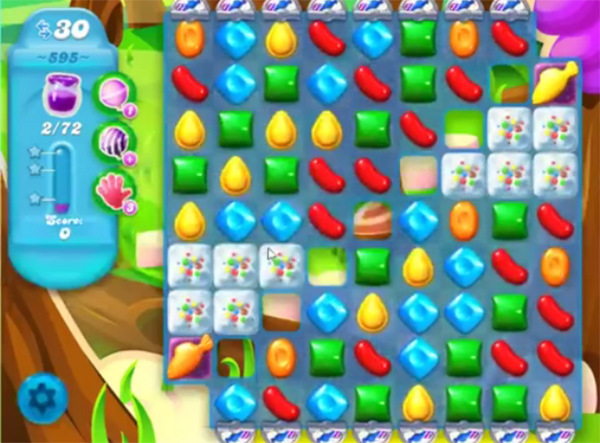 For this level try to play from the bottom of the board to shuffle the candies and make special candy as you get the chance. Combine special candies with each other to break more blockers. Or play near to blockers and Jam to spread it to near candies. The layout is never like the examples you post, so we do not get the same opportunities to complete the level. Sometimes I have a life left and the game shuts down, and when I go back in to play that life is gone. Very frustrating. Just makes me want to delete the whole thing! First level I’ve reached that just seems impossible, not fun, nor challenging. Not worth the time. I’ve put away the game for awhile and hope an upgrade has changed it. Medium? Very hard level. Mentioned above is ‘medium difficulty’ are you kidding me? ?